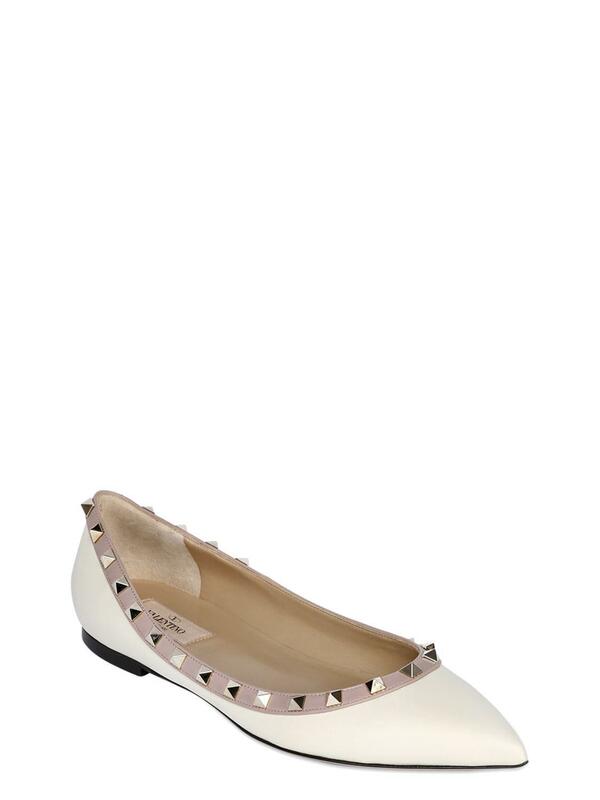 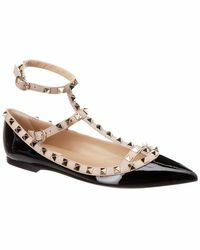 Finish your look with a dose of Valentino's signature style courtesy of these black and beige calf leather ballet flats. 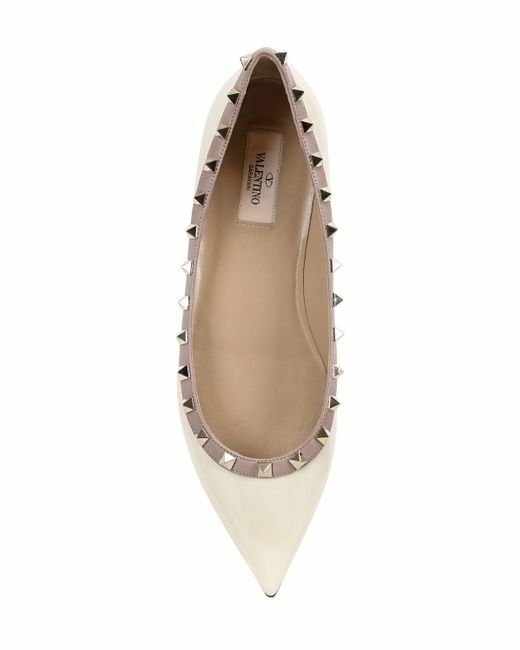 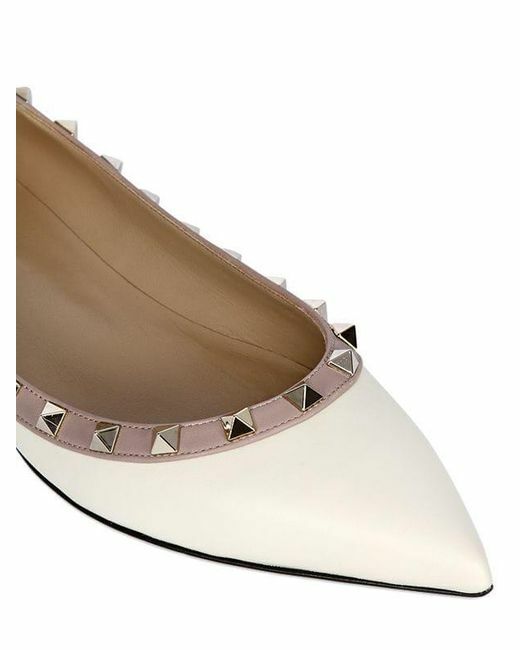 Adding to the label’s reputation for sophisticated design, these pointed-toe flats feature the designer's signature gold-toned Rockstud embellishment and a brand embossed insole. 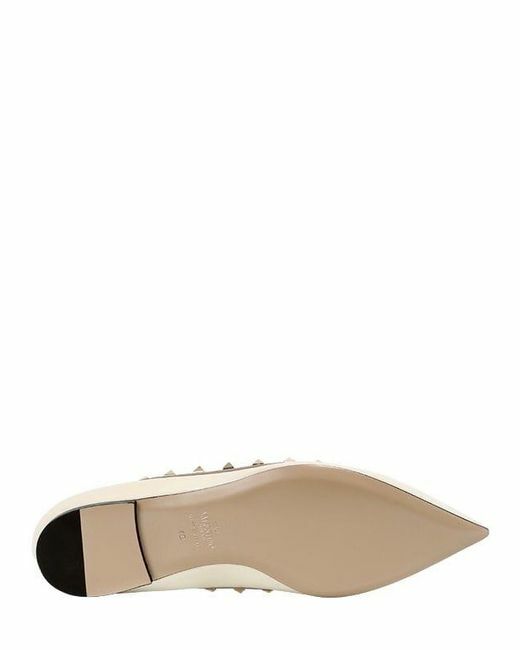 Team yours with everything from maxi dresses to a simple jeans and t-shirt combination.